Since my earliest days I’ve loved perfume & beautiful aromas – so when as a therapist I discovered Aromatherapy it seemed just what I’d been waiting for! Since training as an Aromatherapist in 1985 I’ve used essential oils in all my treatments. I love their wonderful fragrances & am constantly amazed by their healing powers for mind, body & skin. Whenever you visit me, one of the elements we will discuss is your choice of essential oils. Whether for body massage, facial treatment or simply scenting the air, they always add another dimension to your treatment. More recently I’ve taken this love of fragrance to another level. In 2010 I trained in the art of Natural Perfumery, using organic extracts to create bespoke perfumes. 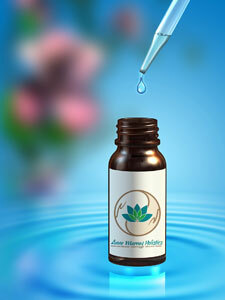 This has given me access to aromas that are not available as essential oils – like chocolate for instance! So now, using extraits or essential oils I can build you the scent you’ve always wanted from 100% pure natural ingredients, presented either as an oil or an eau de toilette spray. It takes time, & sometimes more than one sample blend – but after we’ve had a one hour consultation together I will have all the information I need to create your perfect essence. What a unique gift for yourself or a loved one, male or female.